英文摘要：In this study, artificial domestication (feeding environment and food selection) and breeding (reproductive behavior and artificial induced spawning) of Microhyla fissipes were carried out. It was observed that the reproduction of M. fissipes started from March and ended in October, and the reproduction-peak was from May to August; one couple could reproduce 5 times per year and the shortest interval between 2 reproductions was 16 days; the size of egg clutch ranged from 15 to 1 100 eggs (310 eggs±203 eggs, n=98), and this was positively correlated with the body mass of female (R2=0.44, P<0.001, n=76). Furthermore, we constructed the optimal domestication system, of which the food was consisted of cooked egg yolk and spirulina powder for tadpoles, springtails for froglets, and fruit flies (Drosophila melanogaster) for subadult and adult frogs. The achievements could help to provide sufficient experimental materials as model animals, and also provide references for the artificial domestication of other frogs and toads. 蔡明章, 郭刚, 杨明筑, 等. 1991. 饰纹姬蛙Microhyla ornata (Dumeril et Bibron)生殖频次初探[J]. 福建师范大学学报(自然科学版), 7(3):87-89. 蔡明章. 1980. 蛙类催产和人工授精方法[J]. 动物学杂志, 15(2):51-52. 陈世濂, 张艳璇. 1994. 几种激素对棘胸蛙人工催产作用研究[J]. 福建省农科院学报, 9(1):47-50. 费梁, 胡淑琴, 叶昌媛, 等. 2009. 中国动物志 两栖纲(中卷)[M]. 北京:科学出版社:904-910. 耿宝荣, 温青, 张秋金. 1996. 饰纹姬蛙的早期胚胎发育[J]. 动物学杂志, 31(5):17-21. 郭赛男, 童美玲, 陈文君, 等. 2014. 烯唑醇·苯醚甲环唑和咪鲜胺锰盐对饰纹姬蛙蝌蚪的急性和联合毒性[J]. 安徽农业科学, 42(27):9350-9353. 李斌, 卢欣. 2004. 中国林蛙繁殖产量与雌体大小及年龄的关系[J]. 武汉大学学报(理学版), 50(4):493-496. 刘绍龙, 宋志明, 张家藻, 等. 1996. 饰纹姬蛙早期胚胎发育的研究[J]. 四川大学学报(自然科学版), 33(3):323-329. 刘韬, 庄志鸿, 杨声强. 2009. 基于生物技术调控棘胸蛙繁殖与养殖的研究[J]. 中国农学通报, 25(7):26-29. 潘炯华, 梁淡茹. 1990. 虎纹蛙的人工繁殖初报[J]. 四川动物, 9(2):34-35. 唐秀锋, 刘本祥, 杨家贵, 等. 2016. 大鲵室内培育及人工繁殖技术研究[J]. 南方农业, 10(16):67-69. 韦力, 邵伟伟, 林植华. 2013. 饰纹姬蛙求偶鸣声特征分析[J]. 动物学研究, 34(1):14-20. 徐梦阳, 徐剑. 2012. 粤北山区饰纹姬蛙胚后发育的初步观察[J]. 四川动物, 31(4):83-86, 183. 薛清清, 姚丹, 黄泽宇, 等. 2005. 杀虫剂敌敌畏和除草剂丁草胺对饰纹姬蛙蝌蚪的急性毒性实验[J]. 四川动物, 24(2):209-212. Gibbons MM, Mccarthy TK. 1986. The reproductive output of frogs Rana temporaria (L.) with particular reference to body size and age[J]. 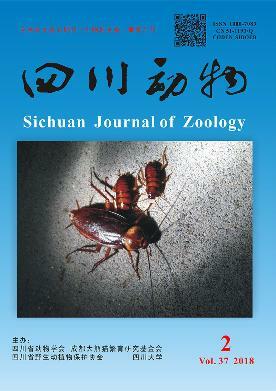 Journal of Zoology, 209(4):579-593. Kozlowska M. 1971. Differences in the reproductive biology of mountain and lowland common frogs, Rana temporaria L.[J]. Acta Biologica Cracovie, Seriensia Zoologique, 14:17-32. Liu LS, Wang SH, Zhao LY, et al. 2017. De novo transcriptome assembly for the lung of the ornamented pygmy frog (Microhyla fissipes)[J]. Genomics Data, 13:44-45. Liu LS, Zhao LY, Wang SH, et al. 2016. Research proceedings on amphibian model organisms[J]. Zoological Research, 37(4):237-245. Wang SH, Zhao LY, Liu LS, et al. 2017. A complete embryonic developmental table of Microhyla fissipes (Amphibia, Anura, Microhylidae)[J]. Asian Herpetological Research, 8(2):108-117. Yuan ZY, Suwannapooma C, Yan F, et al. 2016. Red River barrier and Pleistocene climatic fluctuations shaped the genetic structure of Microhyla fissipes complex (Anura:Microhylidae) in southern China and Indochina[J]. Current Zoology, 62(6):531-543. Zhang J, Wang J, Jiang JP. 2013. Development and characterization of 15 polymorphic microsatellite markers for a highly adaptive and wide-range frog (Microhyla fissipes)[J]. Asian Herpetological Research, 4(3):202-206. Zhao LY, Liu LS, Wang SH, et al. 2016. Transcriptome profiles of metamorphosis in the ornamented pygmy frog Microhyla fissipes clarify the functions of thyroid hormone receptors in metamorphosis[J]. Scientific Reports, 6:27310.